In case you missed it, last week Acronis’ founder and CEO Serguei Beloussov travelled to Myanmar to open a new primary school in the small village of Ata, Kyauk Padaung Township, some 200 km North of the country’s capital Naypyidaw. The entire village came together to celebrate this momentous occasion. National costumes, balloons, dancing, and a talent show filled the day with excitement and new hope for local children. While it may be the first primary school built by Acronis, it’s not the first education project supported by the company. Acronis is an active supporter of education, science, and technology in many different places around the world. The Acronis School in Myanmar will provide the much-needed educational facilities for more than 150 boys and girls, many of whom had been studying outdoors, often fighting wind and bad weather. The new school provided permanent shelter, washrooms, and what’s most important, much-needed education stability to local families. Acronis has built the school and donated it to the village. Local authorities will provide teachers to help children learn how to read and write, and help them pursue their dreams. Children in Myanmar only must go to school for the first five years. To continue education, they need to pass a series of examinations on basic academic subjects. Without proper education, many children drop out after primary school, unable to reach their life’s potential. With the Acronis School, students will be able to receive quality education, achieve better results and continue with further studies. The new Acronis School is part of a long-term community development effort lead by a European non-governmental organization Stiftunglife. 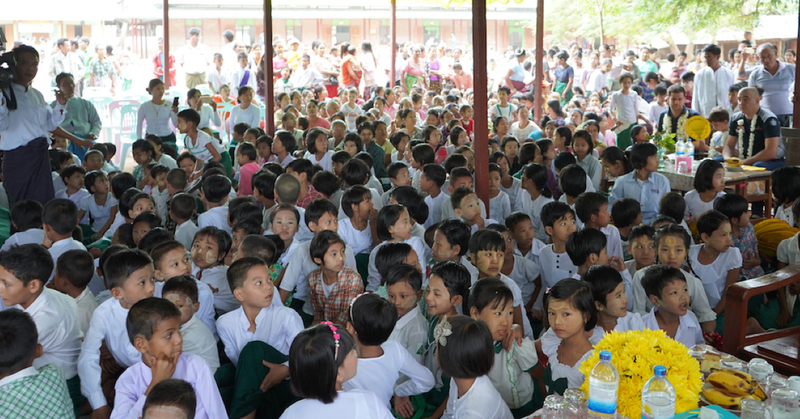 Acronis plans to continue its community development activities in Myanmar building more schools in the future.